Jenny’s Kindergarten & Early Learning Centres are very excited to announce the new state of the art Mortlake Centre will be opening soon. This cutting edge Centre will provide premium education and care to 0-6 year olds. This Centre will be a two story state of the art building with breathtaking city and water views surrounding, it will be licensed for 92 places. The outdoor areas will be individualised for the children to explore the new creative play spaces. Jenny’s Kindergarten will have a large amount of natural play space to allow the children to foster an appreciation of the natural environment. 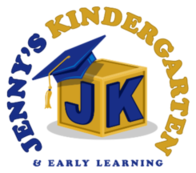 At Jenny’s Kindergarten we believe in making the world a better place for the future, In order to do so Jenny’s Kindergarten have a number of measures in place to implement and encourage sustainability. Some of these measures include rainwater tanks to save water, solar energy to promote clean and renewable energy and led lighting to promote efficiency. Please feel free to fill in your details below and we will contact you as soon as possible.